A prepaid gift card cashback is a reward for purchase that is popular with marketers, valued by businesses and sought after by customers – the ultimate win-win gift with purchase. Marketers looking to enhance their brand awareness and customer loyalty are selecting a cashback promotion rather than a discount because their high-value merchandise is promoted at recommended retail price. The added bonus is that the customer perceives the product as being better value than usual, because they can apply for a prepaid gift card loaded with the rebate value after the purchase. It is a tangible gift from the marketer and appreciated by the customer as though it is a ‘free’ gift, with the responsibility on the customer to redeem their gift card. Manage your cash back program with Corporate Prepaid Gift Cards, specialists in prepaid cashbacks who can provide a seamless end-to-end management process, making the campaign easy for you. It gives you the opportunity to know your customer, target your marketing and keep track of sales and rebates. To claim the cashback, customers need to go online for their prepaid gift card to be redeemed. Corporate Prepaid Gift Cards will set up a secure, exclusively branded cashback claims site, with your corporate branding, that will enable claims validation with proof of purchase and provide you with detailed administrative reporting for you to manage your marketing budget. Corporate Prepaid Gift Cards sends the preloaded cards to eligible customers, and provides the prepaid cards website for them to activate their card and check their balance. Ideal for high-value products such as consumer electronics, white goods, home appliances and even motor vehicles, cashback campaigns are a drawcard for customers as they perceive them to be a reward for their purchase. Customers love a bargain and are attracted by promotional discounts, cash backs and rebates. Featuring a limited time cash back offer in a promotion has immediate attraction, as it will encourage consumers to act quickly to comply with the cash back time frame. Author of ‘Marketing for Dummies’, Jeanette McMurtry says when the customer gets a reward with their purchase it is like playing a game they know they can win. Applying for the cashback takes little effort and provides a valuable result. Price perception is important and discounts can have a positive effect on your sales. Customers who think that they are getting a good deal will be more inclined to make a purchase and having a positive experience with their cashback will encourage them to be more likely to make future purchases from you. Most discounts work on the principle of urgency, as the discounts are only available for a specific period of time. If people don’t buy the product now, at the discounted price, they’re likely to miss out on saving some money. That anticipation of missing out is exactly why discounts work. People seek pleasure and try to avoid experiencing pain, according to psychological theories. Missing out on a discount when thinking about a major purchase is a pain people want to avoid. Several research studies have shown that product discounts increase sales and the majority of consumers look for promotions and discounts. Consumers want to see they are getting the same quality and quantity at a lower price or at a better price than a similar competitor’s product. With a branded gift card, the customer has the pleasure of spending the value of the preloaded card, and every time it is used, it is a reminder of the brand. The customer connects their sales experience with the brand and it reinforces their perception of it as innovative and progressive. A successful cashback promotion managed by Corporate Prepaid Gift Cards was for a consumer electronics brand looking to improve their existing cashback program that sent out cheques with no branding or cross selling opportunities. Switching to an easy-to-implement client-branded Visa Prepaid gift card, the company recorded outstanding sales results and increased customer appreciation. The revamped program saw more than 50,000 gift cards issued since 2011. When planning a cashback program, you choose your cashback reward card from recognised global brands Mastercard, Visa and eftpos. 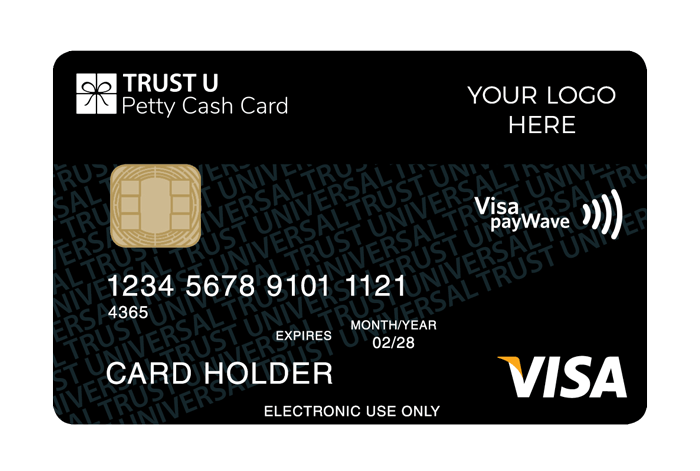 These prepaid cards can be issued in any denomination you specify from $5 to $10,000 and can be used anywhere that Mastercard, Visa or eftpos are accepted. To keep front of mind with your customers you can choose to have your company or product logo printed on the gift card for maximum brand recognition, or you can choose from a range of generic designs. Having your brand featured on the cashback reward card gives you a valuable billboard in their wallet, a constant reminder of you and the reward. With the Corporate Prepaid Gift Cards system, you will be provided with full administrative reporting so you can monitor the program and analyse sales results. Eligible customers will be directed to a cashbacks claim website identified with your product or company branding. Corporate Prepaid Gift Cards will validate the claims on your behalf and check proof of purchase. 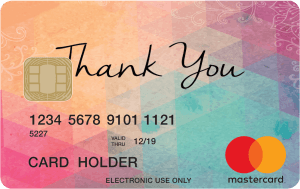 Once customers receive their card, they will activate it online at www.corporateprepaidgiftcards.com.au where they will be able to check the card balance and have any questions answered. The process is secure, simple and straight forward for your customer and will make it easy for you to monitor the results.